In a competitive, rapidly changing retail environment, building and maintaining a thoughtful, modern website will help you attract and convert visitors online and in-store. Like your physical location buildout, giving attention to your website layout, merchandising, and branding can dramatically improve your customer experience, starting with a positive first impression and moving through an easy, enjoyable path to purchase. 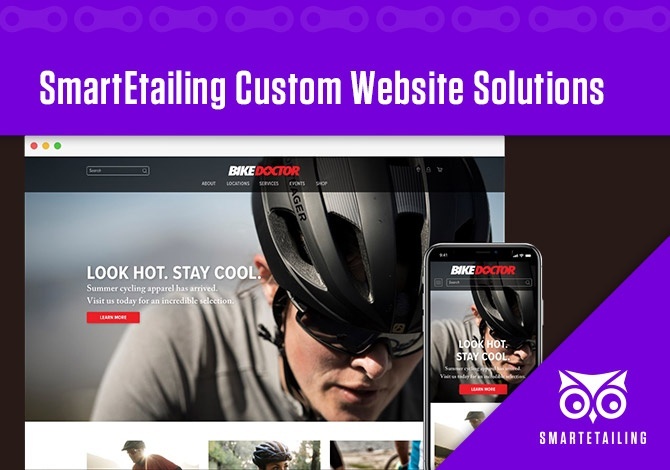 By choosing SmartEtailing as your website platform, you have access to powerful integrations, including POS Sync and Supplier Sync, as well as intuitive tools and a rich content library. Our custom website team will ensure that you make the most of these features, giving you an advantage in your region with a differentiated, professional website. To stand out in your market, it’s not enough to choose a domain and hope for the best. You know that having visible exterior signage, a welcoming entrance, and an intuitive, informative store layout with fresh product is critical to the success of your brick and mortar location. These retail best practices apply to your online store as well. A custom website is like a well designed store location. We plan, design, and build each element of the website to match your brand identity, to welcome your visitors upon entry, to excite and inspire them with engaging content, and to make it easy for them to find the product or service that they need. We don’t simply plug your information into a stock template. We learn about your business, and every aspect of the website that we create supports your goals. The hierarchy of content on your homepage, the descriptions of your key services on internal pages, and the design details carried consistently throughout your website are all carefully considered as we construct a beautiful online store that represents who you are. With purposeful headlines, expert content strategy, and a deeper dive into internal content, your custom website will also perform better over time in organic search results. We manage the project from start to finish, positioning you as an executive decision maker. You have more time and energy to focus on what you do best - running your business. We work with the best independent bicycle retailers across the country so we understand your business needs and how to fit within the demands of running your day to day operations. We know the SmartEtailing platform inside and outside, allowing us to work efficiently within our environment and to provide you with insights on how to best take advantage of our features and integrations. We’re passionate about the cycling industry as well as digital marketing and current web design trends. We deliver to you a unique mix of industry knowledge and best-in-class web design. 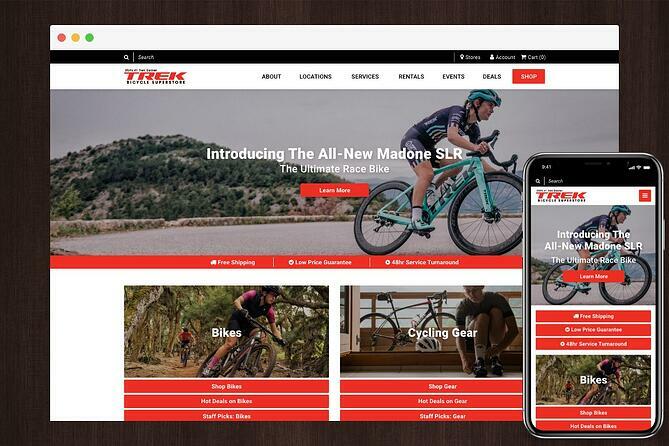 The foundation of our process is an understanding of your goals, the bicycle retail industry, and current web design best practices. We build on this foundation to create a fantastic looking, user-friendly website that supports your needs and wants. We use online collaboration tools to share progress and feedback, ensuring that the final product meets your expectations. We check in with you at each major milestone, giving you visibility on the project without overwhelming your schedule. Our process begins with you. We learn about your business objectives and local competitive advantages. We use this information to build a brand message, content plan, sitemap, and homepage wireframe. Our design team turns your content into a visual design mockup, incorporating current website best practices. We build your new website, creating SEO rich content., a website template, unique styles, homepage, and all internal pages. We review your site with you and complete final edits, test across devices, review SEO configuration, and publish. Check out of gallery of recent work, and contact us for your free, no obligation consultation. Every custom website project begins with a conversation. We look forward to speaking with you about your custom website needs.